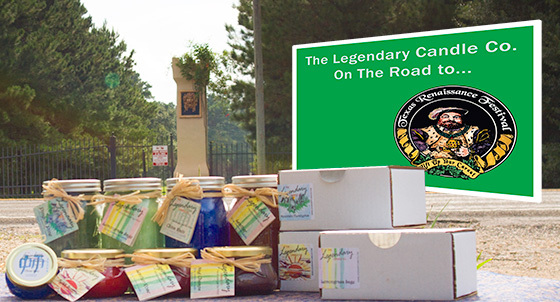 Business Archives - The Legendary Candle Co.
We are after all a small business with over 30 years of combined experience. We might have just gained some insight here and there along the way. You’ve been asking for it so this summer we are bringing back the buy 2 get 1 free deal on 32 Ounce candles! From now until August 7th. we are doing our buy 2 get 1 free promo again. Just put your 32 Ounce Candles in your cart and for every 2 you buy, the third one is free. Feel free to put as many as you want into your cart at once. This offer will only last until the 7th so get to it fast!! For the next 5 days, we will have Mint Rx on sale. 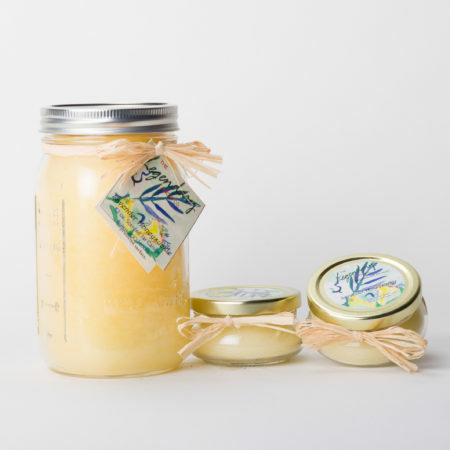 Buy one 32 Ounce candle, get one 4 Ounce candle for free. Just put in the Coupon Code: 324RX at checkout. This only works once per transaction so if you want to do it more, you’ll have to do more than one checkout. Mint Rx will get you on the Road! As we roll down the Road To TRF it’s time for you to start getting ready just like us. We thought we would put Mint Rx on special. How do those two connect? Well, Its about time for you to Get out and REVIVE that costuming, right? Then you should probably BREATHE and RELAX before its time to go crazy and enjoy the show. Then once the show is over, its time to slow down and HEAL from all the fun you had. We want to make this whole process easier for you so we thought, hey, lets get another sale going! Road to TRF Part 3 – Stress! Stress has been high this week. So many things to do, so many things to finish. We have been running around like chickens with their heads cut off. Since we as well as lots of other people i’m sure, need some calming and de-stressing, something has to be done. We just cant get away from how much is going on so we thought, lets get happier! Welcome, an Aromatherapy Special! That’s right, we are working to de-stress and clarify everyone. We are still offering Votive 4-packs with votive holders, this time in Aromatherapy. However! We are also doing a big sale on 4 Ounce Tureen Jars. 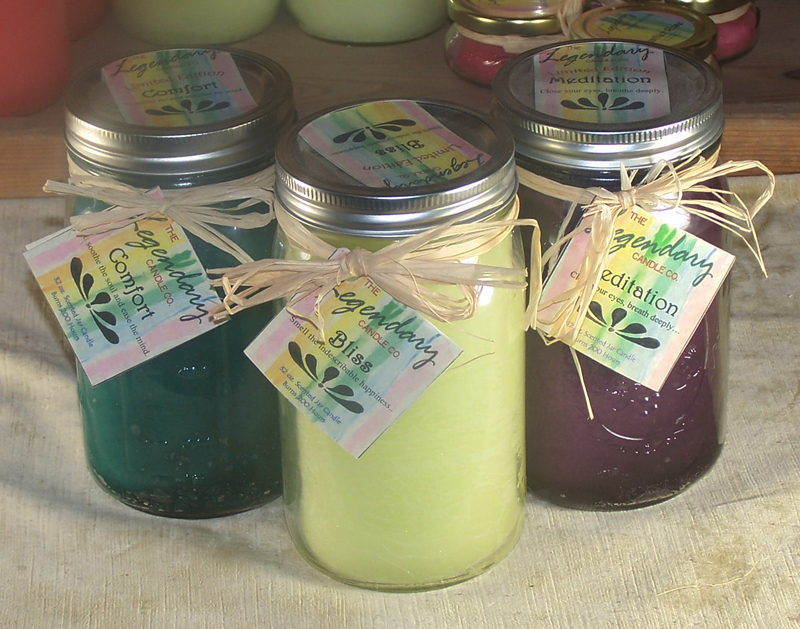 All 4 Ounce Aromatherapy Jars are $7.00 now! We wanted to make sure to bring something fun, awesome, and valuable to you since TRF is so close. 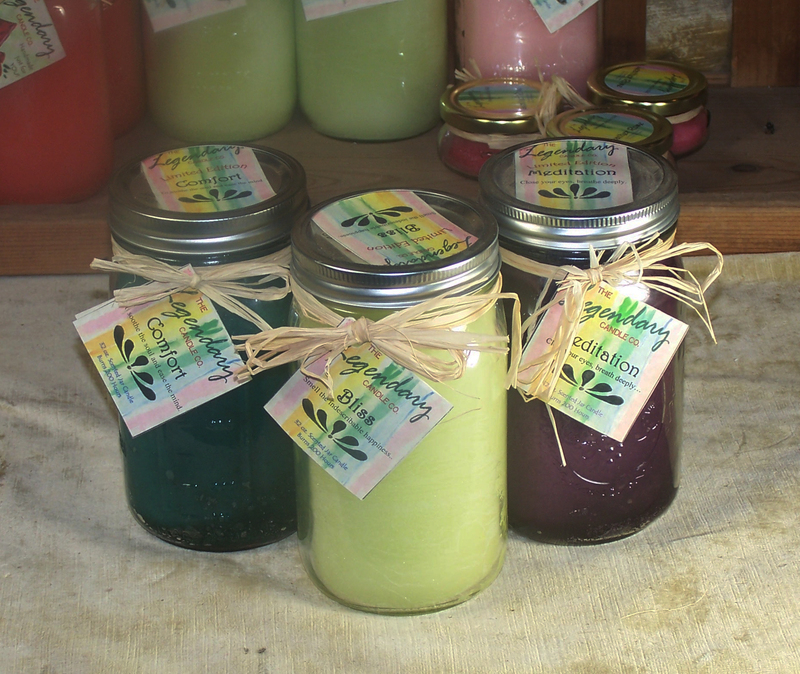 We are knocking $2.00 off all Aromatherapy 4 Ounce candles until the end of this special! Like and Share so everyone can get a chance at this amazing offer. Over the weekend of August 13th, the performing company at TRF started Dress Rehearsal and it was great! The smell of the bakeries making their first batches of baked goods brought a great new idea to our minds. So we decided to update The Road to TRF with the next Fragrance Family as…..*bum bum bum* Gourmet! Now who doesn’t love great scents that remind us of pies, cookies, and baked goods? No one, that’s who! So if purchase you any -Votive 4 pack in Gourmet, you will get 4 votive holders for free! Whats better than that? Well we have a new product to answer that question. An -18 Count Votive box of assorted Gourmet Fragrances for only $18. Just like the earthy special (Creative, right? Don’t worry, we have more specials to come.) This special will again, last for 5 days so jump on it while it is here. Here we are 49 days from the opening of TRF and we are excited! As we go to our booth to get it ready for our amazing friends to come visit us, we wanted to bring you updates and a few Deals! Because we are on the Faire Site often in these leading months, we often have moment to pause and appreciate things. First, let me say, the Site takes a bunch of work to get ready. Since we where there just recently, we noticed the grounds crew making it pretty. Things like cutting grass, pruning plants, and bringing in new soil for the gardens. So, here we are a candle company being bombarded by the scents of Outside! Grounds keepers cutting the green grass. Gardeners pouring soil around new plants. Us sweeping leaves out of the booth. Other booths preparing their gardens. Since we love our plants, we are already out there tending our potted flowers. This got us thinking and we had our first thought about The Road To TRF. As we walk down this road, giving you updates on what we are doing and what’s going on with the site, we will be offering Special Deals on things the site reminds us of. Yep, that’s right, New Deals!!! So what is our first Special Offer, you ask? Because everyone loves fresh cut grass and new soil, we are putting everything in our Earthy fragrance family on Special. So if purchase you any -Votive 4 pack in Earthy, you will get 4 votive holders for free! What’s better than that? Well we have a new product to answer that question. An -18 Count Votive box of assorted Earthy Fragrances for only $18. We have 49 days until TRF so these offers will last 6 days each and highlight a different fragrance family and a different stage of set-up. We will update our blog of The Road every 5 days and update our Offers at the same time. Check back, Like, Comment, Share and enjoy! Also, check out texrenfest.com for their constant stream of fun and excitement. Two New Specials Every Month! We are now implementing two new monthly specials!! First, Fragrance of the Month and then our Throwback Fragrance. These two new specials are going to change every month and we are offering one 32 Ounce jar and two 4 Ounce Jars or a pair of 12 Ounce Tureen Jars for just $43.99 on Throwbacks and 15% off any candle in the Fragrance of the Month! So don’t miss this opportunity to get a special deal on one of our wonderful fragrances and the chance to get one we have discontinued every month! Since these deals go quick, come check them out in our Throwbacks Section or on the Fragrance of the Months Page! This months Throwback Fragrance is Honeysuckle Lavender! Make sure to catch this one before it’s gone again. Just as the name suggests, this candle is a refreshing blend of two of our favorites. This beautiful fragrance is coming back through the end of August. With its joyous mix of herbal and aromatic scents, it’ll leave you smiling. 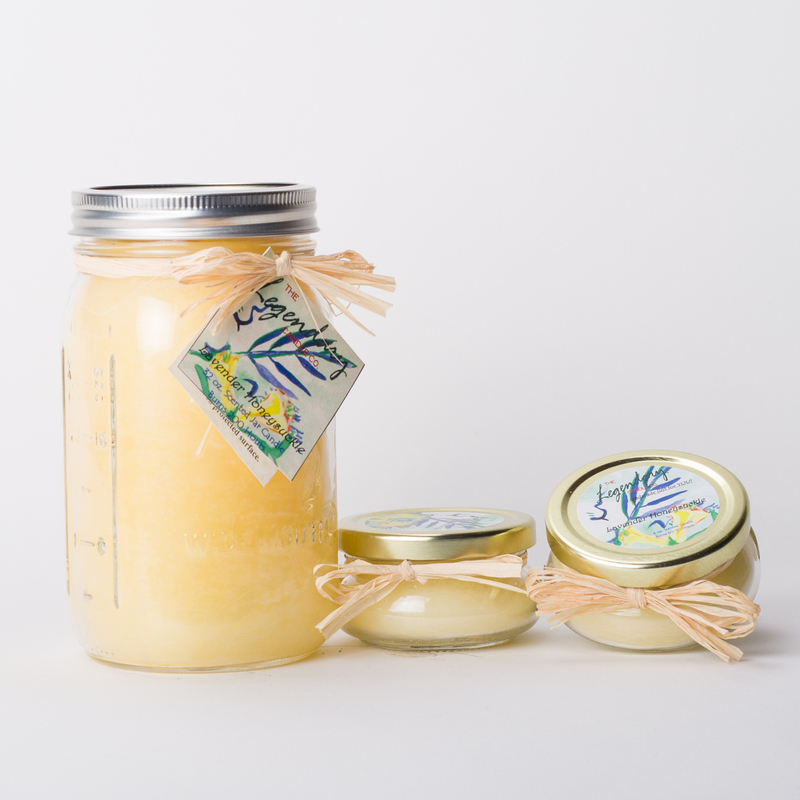 It is a strong, sweet, and cheerful smell that will permeate your home and leave you feeling refreshed and focused. This months Fragrance of the Month is ….. *drum Roll* Juicy Watermelon!! Cool August down with this summer classic! An exquisite fragrance that will both leave you satisfied and fill your home with the feeling of summer. Watermelon is a delightful and bubbly fragrance with a certain sweetness that will surely take you back to childhood memories of spitting seeds on the 4th of July. Summer 2016 has been really slow for us at The Legendary Candle Co. and we are in a bind. Between not attending the Colorado Renaissance Festival, smaller shows that we attended not being what we expected, and going into the summer a bit strapped from the massive floods during Scarborough, we’re making a candle offer in a big way (selling candles is how we pay our bills after all) to help us make it past this obstacle into TRF. So in an attempt to raise the funds we need, here is our newest Promotion. And it gets you free candles! 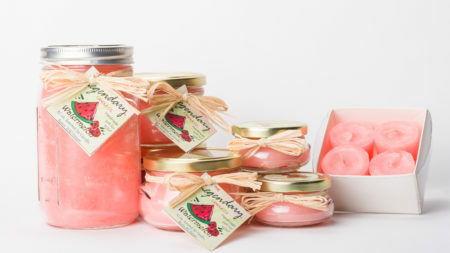 We are offering Buy Two Get One Free on our 32 ounce Mason Jars candles! Now through August 1st get your candle fix much easier. Now, that’s 3 32 Ounce Candles for $72, plus tax and shipping. Regular price would be $96, plus tax and shipping. That is a free 32 Oz candle which means you get $36 free! 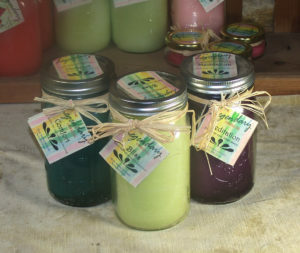 Use coupon code SLOWSUMMER on checkout and it will discount the price of one of the three candles in your cart. There is no limit on the number of times you can use this code. You can share this code with anyone. You will need to make multiple orders to get more than just 3 candles on this offer. (we’re working on ways to make offers like this work more smoothly, but those take money for plugins or development). Aside from Sunflower Summer, Lemongrass Sage, Pineapple, Coconut Macaroon, White Chocolate Raspberry, Chocolate Mocha, and Sandalwood, all 32 ounce Mason Jar candles are eligible for this sale. To recap, get your candles easier, celebrate the launch of our website’s new layout and help us keep going into winter all at the same time. Please Like and Share our post and Visit our website and order today. So don’t let the biggest sale we have ever done pass you by!!!! Since early 2012, we have been working on moving our bookkeeping to QuickBooks Online for a variety of reasons. Probably the most compelling reason is that we have added new Renaissance Festivals to our line up for the year. As we move from place to place and those that need access to this data can become separated by 1000 miles or so, Intuit’s online offering is presently the most affordable solution that we have come across. It has some interesting features that allow classifying income and expense by location. The road to using this tool has had a few bumps, especially since some updates to my preferred browser, Google Chrome, seem to have caused some hiccups in using QuickBooks Online. 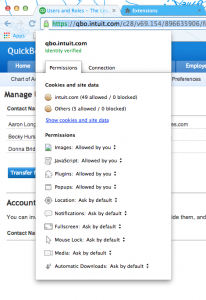 Using it requires allowing pop-ups from Intuit and QuickBooks Online, more specifically. For some reason around the time Chrome pushed the 29.0.1547.57 (Official Build 217859) updates, Chrome users have not been able to use the functions in QuickBooks Online that require pop-ups even when they were enabled for that domain and/or website. The symptoms that I noticed are that despite the QuickBooks Online software thinking that pop-ups are being blocked, I receive no warning from Chrome that I have blocked them. 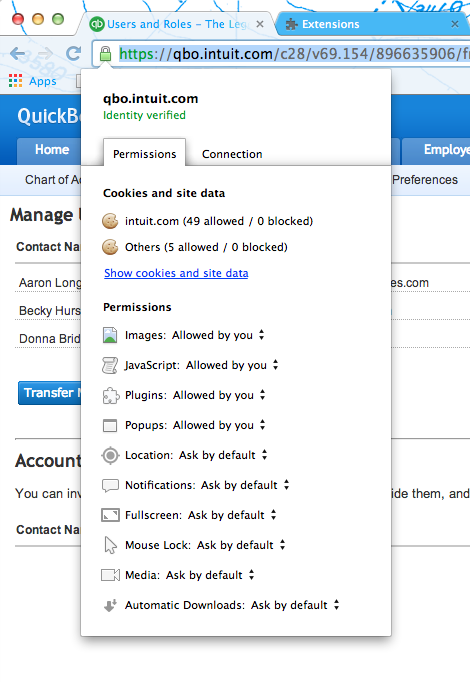 None of the solutions offered by Intuit worked, including completely disabling the pop-up blocker (I really didn’t like this one) and downloading the Chrome app (which doesn’t really seem to be an app as far as I can tell but a set of instructions to Chrome to set a bookmark and set permissions as appropriate). I have found a work around that seems to have solved the problem and it is pretty simple. 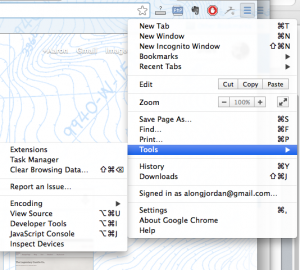 I run Chrome Version 32.0.1700.77 on Mac OS X 10.9.1. I have the following extensions installed Ad Block 2.6.18, CSS Refresh 2.0, Dashlane 2.2.4.49587, Evernote Web Clipper 6.0.8, Google Docs 0.5, PageRank Status 8.6.1.0, PHP documentation – PHP.net 1.3.1, and QR Code Generator 1.4.103. 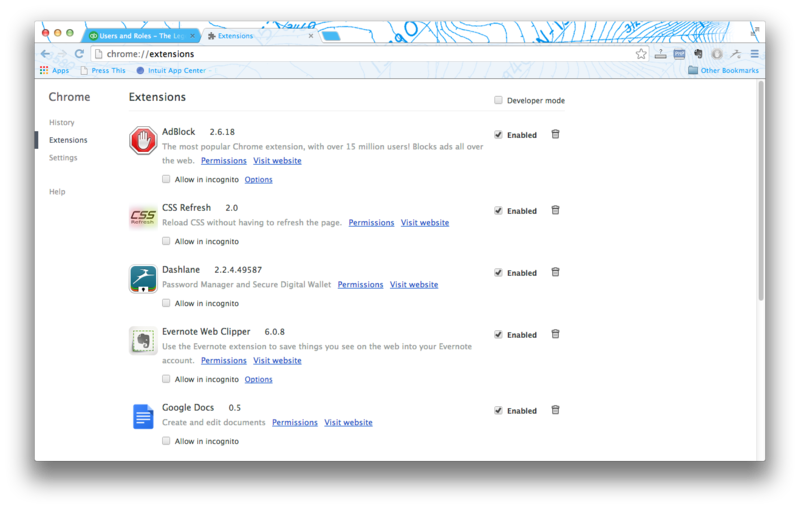 I have a non-default theme installed in Chrome. 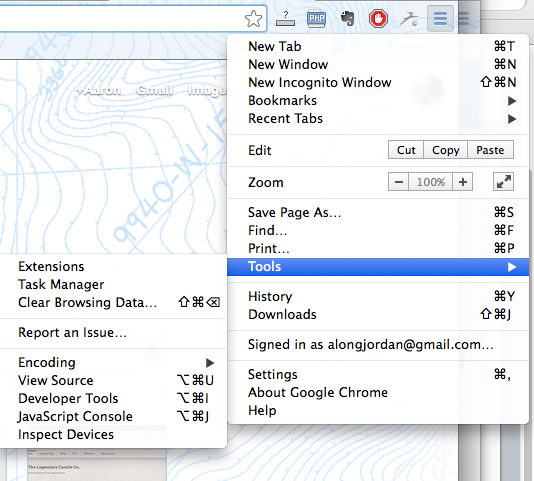 First, go to your extensions in Chrome through Settings > Extensions and disable all of them. Don’t worry, they will not go away. With all extensions disabled, navigate to a function that requires pop-ups to work in QuickBooks Online. The two most common are New Customer and Manage Users > New User. They pop-ups will most likely suddenly start working like they should be. I supposed that there was likely a conflict between one of my extensions and something that QuickBooks Online was doing in their code. So, finally, you will need to re-enable (You installed them originally for a reason, right?) your extensions one-by-one and then reload the QuickBooks Online page and retest whether or not QuickBooks is still functioning as expected. I wound up with no issues after re-enabling all of my extensions. I maintain a fairly small array of them anyway. If after enabling an extension you suddenly have an issue, I would further recommend disabling all of the other extensions except the potentially offending one and retesting. If it still causes the problem, perhaps you have found a truly conflicting extension.